We would like to formally introduce you Mr. Soch (Music Producer/Audio Engineer/Sound Designer) who is Limited Release’s very own wizard. He keeps us sounding amazing, which is great since Candice and myself are technologically challenged in the audio department. Continuing our Masters of the Web series of bonusodes, we wanted to get a pro’s perspective on what it takes to capture clean location sound and the steps to perfecting it in post-production. And we could think of no better choice than Soch; he’s worked on many different kinds of productions in the last several years, including feature films (Four Aces), web series (Mind’s Eye the Series) and a plethora of short films produced by Synndicus (formerly Synn Studios Inc.). Not to mention he’s helped us produce Limited Release since day 1. Often times on set the audio department gets overlooked or ignored and there are a lot of web series that get released with not-so-great audio. Most of the time “audio” plays little brother to “visual”, even though many filmmakers stress its important role in drawing the audience into the story. We speak with the expert on what it takes for a web series to get great audio, what to look for when hiring an audio technician for your production and a few tips to help save your audio in post-production. 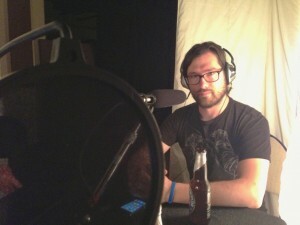 Limited Release is a podcast highlighting web series and the indie industry. While we both work in the industry we are sharing our opinions of these series and films as watchers only. These opinions do not reflect the opinions of our employers, sponsors or audio engineer. Much thanks to our audio engineer, Aaron Soch of Synn Studios.